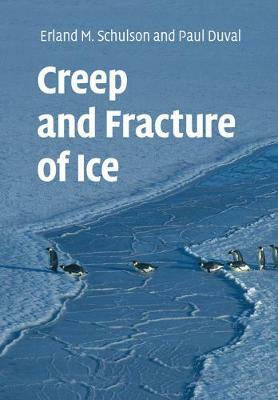 This is the first complete account of the physics of the creep and fracture of ice, and their interconnectivity. It investigates the deformation of low-pressure ice, which is fundamental to glaciers, polar ice sheets and the uppermost region of icy moons of the outer Solar System. The book discusses ice structure and its defects, and describes the relationship between structure and mechanical properties. It reviews observations and measurements, and then interprets them in terms of physical mechanisms. The book provides a road-map to future studies of ice mechanics, such as the behaviour of glaciers and ice sheets in relation to climate change and the dating of deep ice cores. It also highlights how this knowledge is transferable into an understanding of other crystalline materials. Written by experts in the field, it is ideal for graduate students, engineers and scientists in Earth and planetary science, and materials science.